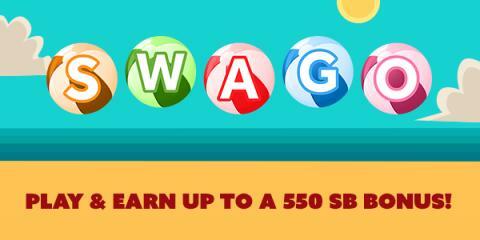 Swagbucks is holding their Swago promotion starting Tuesday, June 27th at 9am PDT! It's just like bingo, but in this case you're filling out squares as you earn points on their site for doing things you already do online. If you're thinking of trying Swagbucks, this is a great chance to learn all about how the site works and earn bonus points while doing it. Fill up your board and then submit your pattern to get even more points - if you can fill in the whole board, you get a 550 SB bonus! That's enough for a $5 gift card in our Rewards Store. Click here to sign up and get started! If you sign up through my link and earn 300 SB before the first of next month, you'll get a bonus 300 SB!